In this fresh commentary, Deanna A. Thompson makes this important Old Testament book come to life. Recounting God's foundational relationship with Israel, Deuteronomy is set in the form of Moses' speeches to Israel just before entry into the promised land. Its instructions in the form of God's law provide the structure of the life that God wants for the people of Israel. 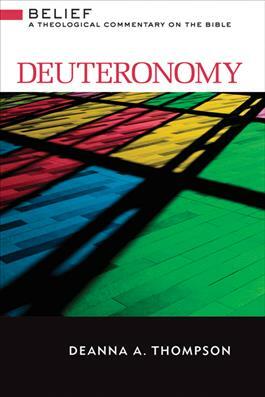 Although this key Old Testament book is occasionally overlooked by Christians, Deuteronomy serves as an essential passing down to the next generations the fundamentals of faith as well as the parameters of life lived in accord with God's promises. Thompson provides theological perspectives on these vital themes and shows how they have lasting significance for Christians living in today's world. Thompson's sensitivity to the Jewish context and heritage and her insights into Deuteronomy's importance for Christian communities make this commentary an especially valuable resource for today's preacher and teacher.